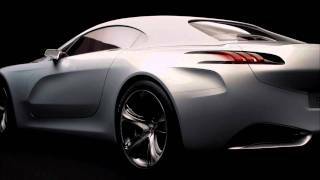 Peugeot SR1 Concept Car 2010 embodies a new stronger, more extreme and pure expression of the Peugeot Style of tomorrow and also displays a new look corporate Lion badge. 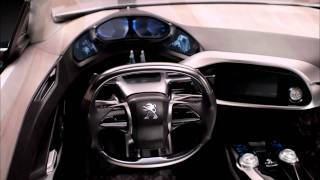 SR1 concept car is 100% electric which incoporates HYbrid4 technology available in the Peugeot 3008. Now 200 years later, a new chapter in the Peugeot story is about to open with a further evolution of the brand; a new styling direction, a new corporate Lion badge and a new signature – Peugeot MOTION & EMOTION. The look of individual products is the visual face of the brand in the eyes of its current and prospective customers. To enable Peugeot to evolve and adapt to future challenges, Peugeot’s current styling direction will change into a new look, typified by the new Peugeot SR1 concept car. This dream car embodies a new stronger, more extreme and pure expression of the Peugeot Style of tomorrow and also displays a new look corporate Lion badge. The SR1 concept car also blends styles in terms of its technical characteristics. For example, it incorporates HYbrid4 technology, which will be available in the Peugeot 3008 from 2011. On the SR1, at the front, a 1.6 litre THP petrol engine with a power output of 218 bhp is combined with a rear electric motor developing 95 bhp. In electric only mode, the car becomes a Zero Emission Vehicle (ZEV), with a combined cycle fuel consumption of 57.7 mpg or 119 g/km of CO2. With the use of HYbrid4 technology, which will eventually be available on different models in the Peugeot range, the SR1 concept offers convincing proof that driving enjoyment can be combined with environmental friendliness. The first production vehicle to display this new Lion will be the stunning Peugeot RCZ launched in the Spring. To reduce its ecological footprint and dependency on fossil fuels, Peugeot has been actively investing in a range of new technologies to meet the needs of future mobility, without sacrificing driving enjoyment. Today, Peugeot continues to improve engine efficiency through its downsizing strategy for both petrol and HDi FAP diesel engines. Alongside this; the Marque is also currently developing a new three cylinder petrol engine. 100% electric – The first product called the i0n, which will initially be launched onto the European market at the end of 2010, is compact and very easy to drive, and can easily accommodate four people in its spacious interior. Offering good levels of driveability in all circumstances, it is designed for the urban and suburban traffic of Europe’s large cities. Powered by Li-ion batteries that give it a top speed of 80 mph and a range of 80 miles when fully charged, they can be recharged fully in six hours via a standard household electrical socket or to 80% of their capacity in just 30 minutes, via a bespoke rapid recharging unit. In terms of light commercial vehicles (LCVs), from the spring of 2010, a 100% electric Partner Origin van will also be available, with a load capacity of 3 m3. Micro-Hybrid – Peugeot’s e-HDi system will be widely introduced across the Marque’s model range from the end of 2011. 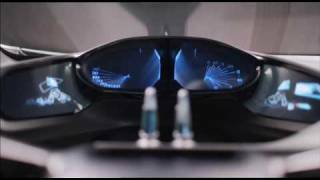 It will reduce both fuel consumption and CO2 emissions by up to 15%. Full-Hybrid – In the spring of 2011, the 3008 HYbrid4 will combine environmental efficiency and versatility in day-to-day use. As the electric power train is mounted at the rear of the vehicle it also provides a number of other benefits such as the ability to provide all wheel drive. The Peugeot 3008 Hybrid4 will be the first diesel hybrid on the market and will be followed by other Peugeot hybrid models. HYbrid4 Plug-in - In 2012, Peugeot will be introducing plug-in HYbrid4 technology for a further reduction in emissions levels: the target is less than 50g of CO2/km and 141 mpg. This environmental strategy followed by the Marque also applies to its two-wheeled vehicles produced by Peugeot Scooters. Peugeot is currently developing an electric bicycle in partnership with Ultra Motor. It is powered by an electric motor combined with a removable 36 volt Li-ion battery pack, offering a range of 44 miles. The E-Vivacity, a 100% electric scooter with a power equivalent to that of a 50 cm3 petrol engined scooter, is a new eco-friendly mode of transport, which is reasonably priced and offers extremely low maintenance and running costs. Its Li-ion battery pack can be fully recharged in 4 hours and recharged to 80% of its capacity in 2 hours, offering a range from 50 to 62 miles. Clean and quiet, with good acceleration from a standing start and a maximum speed of 28 mph, it blends seamlessly into urban traffic. The production model will be unveiled at the end of 2010 and will go on sale in 2011. With 15 years experience in this type of technology, Peugeot is perfectly placed to maximise every opportunity. On the strength of the technology already deployed in its cars and two-wheelers, Peugeot is rising to the environmental challenge of today and tomorrow. Peugeot is, however, going further with a comprehensive response to the mobility needs of the future. Now a new and exciting chapter is about to start!